Hi there, I’m Denise and I’m so happy you’ve dropped by! 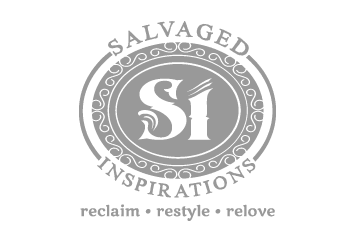 Salvaged Inspirations was created in 2013 and shares my love of restyling and repurposing vintage furniture and thrift decor. As far back as I can remember, I’ve always enjoyed finding interesting pieces at flea markets, garage sales, and thrift stores. I’m the kind of girl who has more fun curb-shopping than buying retail! This blog shares my passion for furniture painting. Although I wasn’t sure what direction it was going to take when I wrote my very first post, the SI Blog has turned into an online journal of before & afters, a resource for diy furniture painting techniques and documents my successes and failures along the way. I hope the 250+ blog posts and tutorials inspire you and other DIY enthusiasts to take another look at that neglected piece and restyle it into something amazing! So welcome…. grab a cup of coffee and stay a while! 🙂 And I hope you stop by often so we can have some fun sharing our thrift tales while breathing new life into old items one piece at a time. 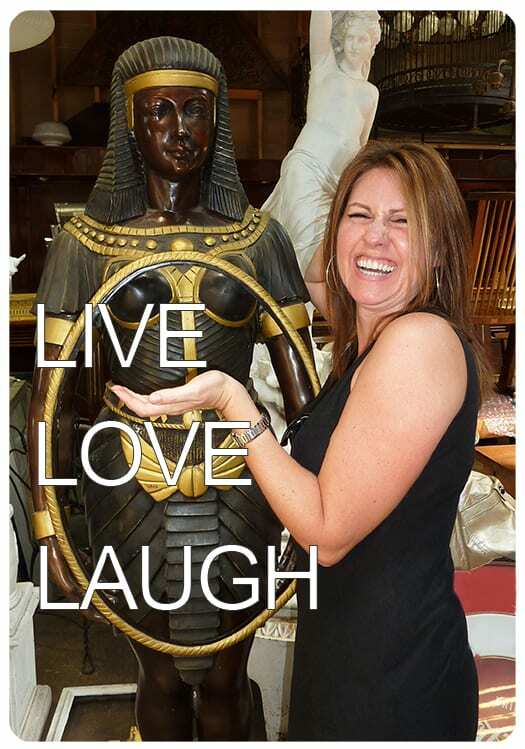 LOVE to laugh…NOTHING better than a good laugh to lift the spirits. Own a dishwasher yet never use it…yup, still wash dishes by hand. Scorpio Alert: I’m extremely passionate, fun, secretive, focused, loyal, excitable and I let my EMOTIONS RULE. I dream of being a famous artist with an eccentric lifestyle….who doesn’t wash dishes. Enjoy nature, animals, long walks, travelling, gardening, thrifting, drawing, photography, music, art and a good book. Can’t stay in the bathroom to brush my teeth if my life depended on it… I walk around the house and only go back to rinse. I’m a great listener but find it challenging to talk about myself. Addicted to traveling. I love seeing new places and things. I have the best sister in the world. Wherever in the world I travel, I always visit the local library and art museum(s). Geek Alert: I’m a book worm, love to read and still ‘check-out’ books from my local library. I hate having wet toes when they’re suppose to be dry. 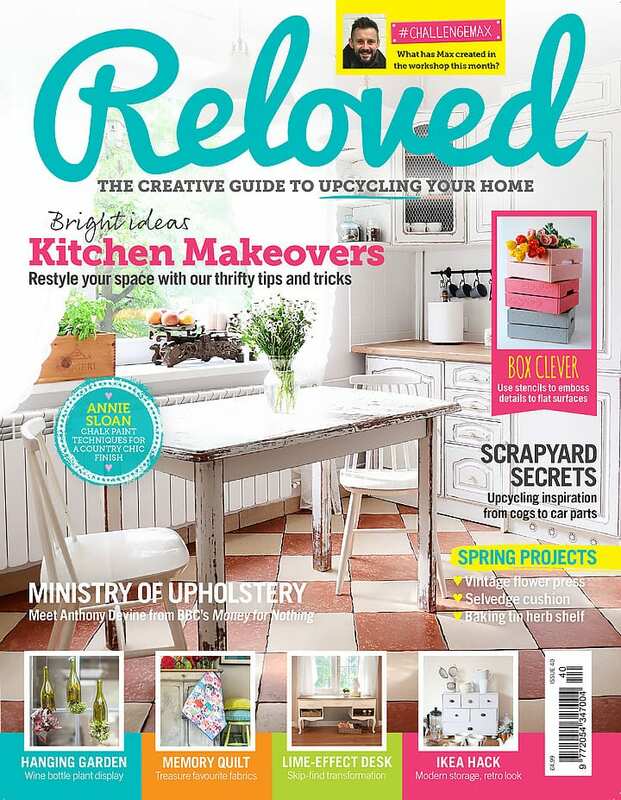 Have great fun up-cycling furniture & selling pieces I’ve salvaged and lovingly re-furbished. I LOVE my freedom. Being able to do what I want when I want is HUGE. LOVE spending time with family, friends and “My-Mystery-Man” aka M-M-M.
Admire positive, fun, creative, inspiring people. Like and often use the words: “FREE”, “ALMOST FREE”, “THINGY”, ‘CREEPY’, “WEIRD”, “UGLY-CUTE”, “FRIGG’N”, “FRIGGY”, “KINDA”, and “REALLY, SERIOUSLY”? I’m a night owl. If I’m in bed by midnight – that’s early. Don’t use an alarm – I wake up organically. Old lady alert: I cross stitch and think needle art is relaxing. I do my best to buy and eat organic produce/products. I can be a walking contradiction. Laundry – can’t be bothered until I’m down to my last pair socks. Ok…maybe that last one was a little too much information…lol. P.S.S I’d love for you to visit often and share your thoughts and ideas. I’m truly grateful for every comment and interaction I receive and want to thank you for dropping by and spending a little time with me! I am going to try to refinish my grandmother’s sewing machine. I am 72 years old. I have most of the veneer off, but there is one spot that won’t come off. I am going to try your suggestion. The wood is tough under it. . I hope I can get it smooth. Love your blog. Thank you for sharing. Instructions on how to duplicate your creations!! Thats NOT typical out there on the individual websites! feet to….I have already bought a tray which will be my next project to work on..
Hi .. My specialty is the restoration of historical monuments. I’ll be glad to see your works. So happy I found your blog! I am a fellow painter and I have been known to have gone ‘junkin’ a few times in my life 🙂 I have a question for you: how does milk paint compare with chalk paint? I’ve used chalk paint in the past and have been very pleased with the results, but I’ve always been curious about trying milk paint. Any tips you have are always welcome! Just came across your blog and wow! You are certainly talented! Maybe you can answer a question for me that I was trying to research. I bought a large jewelry chest with felt-lined drawers. The fabric is stained and gross and I was wondering if it could be painted. Have you ever done anything like that and if so do you have any tips? Thank you! I also found a jewelry chest that is perfectly functional for me, it’s a sturdy, but ugly faux oak trimmed piece, some actual wood too. I think it can be easily transformed with chalk paint and distressed. I got it for about $5.00 at a junk shop and if it cleans up, it will be better than the expensive one I have, that is tedious to sort through. As an example you have to remove ear ring bars to get to the one pair you one to wear, not practical. Anyway, I have the same problem with the faux velvet glued on lining of the complete interior. I tried to loosen it for removal, no luck. Though about painting…now wondering if you could cut out new material more suitable and just glue it over the old. I know it would have to be rather thin…maybe even some silk printed scraps, that wouldn’t bunch up. Just wondering Denise. I just finished chalk painting a dining table and put wax seal on part of it now wondering if I can poly it instead over wax or would I have to start over. Hi Thelma! Here is some info on Wax Over Poly or Poly Over Wax. Hi Denise I’ve just found your website and am so excited I have always wanted to do a bit of screen printing and to cut my own print but have never been able too or had the courage to start .. I have just seen one of you designs and just love it and would love to finally try cut cut a stencil from it. Hi Denise, I have a lovely, curvy shaped, wooden frame headboard with cane panels. It had been painted in a white matte finish paint—including the cane. with distressing on the frame. I would like to strip the frame and repaint it a buttery colour (which would match my other pieces better). I would prefer the cane sections to be in a more natural finish–like a light tan stain perhaps.. Do you think that it’s possible to safely strip the white paint from the cane sections without damaging them at all? Please tell me what products to use on the cane in order to get this effect. Thanks to a fellow Burlingtonian! Hello Collette in Burlington! 🙂 Stripping cane (I’m guessing it has some sort of weaving) is not an easy task. It can be done, but I’ve never had great luck doing it. I just don’t have the patience for it to be honest. You could try using Citristrip, Heirloom or any reputable brander, but it’s a tricky job to get all the paint out of the nooks and crannies to get a flawless ‘natural’ look. Hey Denise! Thanks for sharing your knowledge with us fellow refinishers. I’m Picker Dave and I have a ton of refinishing projects waiting to be realized. One of which I wanted to ask you about. I was turned on to this technique by a friend and it involves using an image transfer medium that will affix images to painted or wooden surfaces. The makers of this medium also make Mod Podge. Have you ever used it? Any suggestions? We’re going to make a Chicago Cubs bar out of a really cool 50’s stereo console. Should be interesting for sure. I have a question about where you sand/paint/stain and refinish your furniture. Is it in a garage or other enclosed area away from your home.. or do you do it in a basement? I have no other area to refinish but in our basement, and prefer not to sand or spray in an area which we live in. It’s curious to see how and where others work. Also, do you sell your items via social media.. website.. or do you have a store in which you can display and sell? Thanks for all the very wonderful advice and tips!! I have always wanted a chest of drawers, similar to a card catalogue used in the libraries when I was a kid. While on vacation I came across an 18 drawer paper chest from 1891! It is a beauty! I have sanded down the exterior but my question is about the inside of the drawers. They are raw wood and most drawers have open spaces between the joints. The inside of the drawers really show the age of the piece. I’m worried if I paint the inside of the drawers it will just look like a poorly constructed new piece of furniture instead of the antique gem that it it. I was wondering if I could please be added to your group board on furniture. My pinterest username is @RenovatedFaith. Thank you for your consideration! Could you add me to your list? Great Articles and Lots of LOVE from a fellow junk- a – holic ! I found your Painted Furniture – IDEAS & DIY Pinterest Group Board and I absolutely love it! The focus on high quality content in one of my favorite niches is really fabulous! I’ve followed you and the group board. I blog at ThreeBirdsLife.com where I write about crafts, homemaking, gardening, DIY, recipes, and my share of painted furniture! I would love to be added to your group board and will contribute only high quality pins. 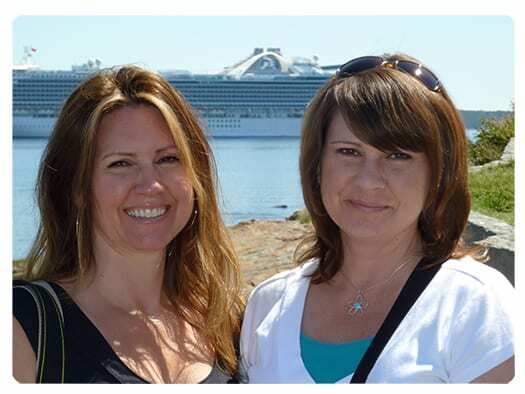 Hi Denise….love your website. I have recently began refurbishing furniture and notice in your About bio that you do the same. My question is how do you market your pieces? For me, no two pieces will ever be alike so I am assuming I will have to have quite an inventory before I can start advertising. Did you start out online or word of mouth? Thanks also for sharing your personal story about your precious Dad in an earlier post. Blessings to you and your family. I’m glad you’re liking the posts – thank you! 🙂 No problem. I’ll add you. You will receive a confirmation opt-in. I’m wondering if I can chalk paint over pressure treated wood. The furniture piece will not be outdoors, it will be inside, but I’m wondering if the paint will stick to the wood because it wood meant fir outdoor? Hi Tara! I’ve never painted pressure treated wood because it’s a bit of a process testing its 100% dry, cleaning etc – but yes you can. Bob Villa has a really informative article you might be interested in taking a peek at here. Just started chalk painting. I think its cool. I used Folk Art Chalk Paint this time, because I like the colours, especially the Tuscan colours. But I am finding more colours in every brand I look for. I also mixed an awesome purple myself out of blue and red. Don’t know how to send a picture. Cheers. You are a woman after my own heart.Love “Thrift Shopping” for really good recyclables. Love to be put on your mailing list. I live in Mill Creek, Utah. A friend tells me I have excellent taste in the “finds” from our treasure hunts. Having a bit of artistic talent helps??? 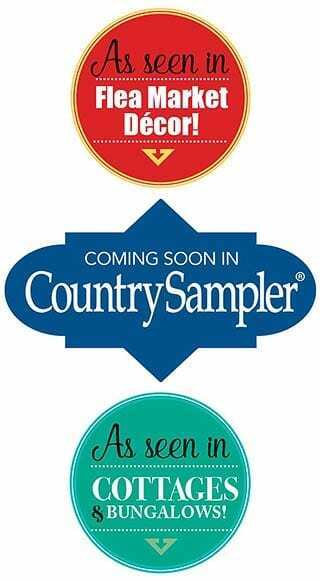 Found your site and copied the “Main St” and “Hot Bathes” printables. Thanks very much. I’m just trying to get into the basic sign making. One question I have, on the “Hot Baths” do you rub the chalk on the printed side of the paper or on the back? As I said I’m really green at this. Thanks! Simply needed to state Now i’m delighted that i happened upon your web page!. Hi Denise! I stumbled upon your blog via Pinterest (while at work) shhhhh 🙂 And I have just spent the past hour on and off, going through it! I love your work and how you explain things! I am a milk paint virgin, but have recently purchased all that I need to work on a project. I have a collection of pieces stored in my basement that were either given to me, or purchased at auction.. to the point where my daughter says.. “Mom! Stop it!” lol.. Thanks so much for the tips, I will refer back here before my first project! 🙂 Merci beaucoup! Shhhh…your secret is safe with me Linda. 😉 Hope you drop in again soon and good luck with your upcoming projects! Im trying to repurpose a master bath. Its walls are partially sea glass. Any paint product you can think of that adheres to sea glass that is in a bathroom so it will be moist environment with showering etc. Hi Denise, I found your blog when looking for the best DIY chalk paint recipe – yours seems like it will be the best and I can hardly wait to try it! In regards to using Plaster of Paris: Having been a potter for 14 years I used it often for making molds. The best way to mix it is to add it to the water slowly and let it “slake” – do not stir until the powder has disappeared below the water. You’ll find it much easier to manage. Hope this was some information you can use and possibly pass on in your blog. I look forward to visiting often for inspiration and information (I’m just starting down this road and look forward to the journey). I’ve just painted my first piece of furniture using Rustoleum Painter’s Touch 2x Paint n Primer in Gloss White. I followed the instructions, waiting less than an hour between the two coats per the instructions That was Sunday afternoon. It looks great, but I can see spots that are glossier than others. Is it advisable to wait until it’s fully cured before spraying again? Or is it safe to move forward with the final coat this evening? All that I’m reading says it’s oil-based. Hello Denise, I’m a nervous beginner!!! We have classic Queen Anne Ethan Allen bedroom furniture in the original dark factory finish. We hate to ditch this quality furniture but are tired of this look. If the decorative pieces are removed from the lower edge, pulls replaced and a new paint color we think it could be used. What do I do ?? So afraid to ruin this beautiful furniture. We need it for Arixona and do not want it so deep dark. Hi Denise, I found you blog today when looking for home-made chalk paint recipes. Came across this whole concept by going to an Annie Sloan workshop in France, where I live. Got bitten by the repurposing-upcycling bug but curious about what was in the AS paint to make it different from regular latex. Seems it’s not as big a secret as they would have us believe. I had already discovered that you can easily tint the paints and wax with acrylic paints and now it seems I can make my own chalk paint – can’t wait! And here’s a tip I discovered somewhere – if you want to change the colour of a large piece quickly, dilute the coloured wax with white spirit (odorless is good) and just slap it on with a big brush. The effect is very good. Looking forward to reading more of your blogs, thanks for putting it all up there for us to share. Happy painting! We’ve never met but I think you may be my long-lost twin! I’m a Scorpio and EVERY single thing you used to describe yourself, your likes and dislikes are the exact same! And I mean everything. I sooooo totally get the wet toes thing. It just feels wrong! Was a very strange feeling to “find” myself here! I came across your site looking for a chalk paint recipe to use on an armor I’m redoing… again. i love your work, but I have a question. If you paint your furniture and you want to have it professionally cleaned would that ruin the material? Same as pillows, if you have a stain on it how easy would it be to clean? Hi Lisa and welcome! Unfortunately, I have not yet tried painting fabric so I’m not sure. My guess is that a wipe down would work, but I would be cautious of a full professional cleaning. curved so have been a challenge….but fun. Love your site. I live in New Zealand and enjoy giving the old pieces of furniture a new life. I love your website! I just visited for the first time and learned how to fix a hole in my hardwood floor using DAP plastic wood. Thank you very much. Your pictures and discussion are sooo helpful. I just chalk painted my first dresser top, but I over sealed it with wax-now it’s super shiny in those spots. Can I rub that out to matte it or? Thanks so much, I am now a great fan! Thanks for inspiring me. I’m located in the Greater Toronto Area in Burlington. i love love love the green dresser. Do you have similar dressers in white or black? Thanks! Wow! Love your page! Just started painting so you are/will be a huge inspiration for me! Plus, I share a lot of the same idiosyncrasies! 🙂 you crack me up! Denise! Thank you for the tips regarding Milk Paint. I just purchased two small brown doors for $10 and want to paint and distress and place on wall. I have tried in the past to repaint furniture with acrylic paints and usually have unsatisfed results. Now with your great tips my projects will have amazing results! I will pass your website on to all my friends! I really enjoy your website and all the information you provide. I am so inspired by you to start doing re-purposing on small items to sell locally. I teach elementary art and I could use something unique and exciting to add to my monthly income (I’m on a NC teacher’s budget). Could you please tell me the basic materials needed to get started? I know I could never do what you do, but I really want to try. Thank you in advance for your help, Denise!!! Thank you so very much!!! You are awesome!!! This was just the information I needed to get started, and thanks for supporting the Arts. I can’t wait to get started with the wonderful tips you gave me, and I look forward to following your website for growth. Again, thank you, I will never forget your kindness!!!! I love your site. I have scoured every page and am thrilled you posted how to make homemade chalk paint. Will be using it. I would also like to know how to get your site directly to my email, so that I can keep up with your blogs. I love this. It is right up my alley. Love to take old and bring new again. Redid an old trunk, with my Sister, for my Granddaughter. Painted and put leather on it with new hardware. It turned out great and she loves it. LOL I have a dishwasher too, and never use it. Kindrid spirits. Have raised a garden for years, all organic, and canned it all. Love the outdoors and we have passed on all the skills to our children and grandchildren. It is so much fun to do things with them and to see their skills growing daily. Thanks for sharing your ideas and those of others as well. Inspiration comes from so many talented people and sources. Denise, I just found your site and I’m excited and inspired by your work! I have painted some pieces in the past but I’m kinda sloppy. I’m curious about how you spray paint your furniture. What equipment do you use and how did you learn to use it? I loved reading all about you. You have such a bubbly personality and I’m super excited to watch your inspiration for salvaged items. I’m so happy you dropped by Audrey. Thank you!! Wow! I had a great time going from page to page. Keep up the great work. Visit us again. Soon! Thanks Wendy! I appreciate the compliment and encouragement. Looking forward to dropping by again. If I’m lucky, maybe I’ll get to see the refinished baroque dresser! I need to know when making chalk paint, do you mix enough plaster of paris with the paint to make it thick like real chalk paint. or just leave it thin like regular paint? Help me please…..
Hi there Becky! For the plaster of paris HMCP recipe, it’s 3 parts paint to 1 part (dry) plaster of paris. Use the same measuring tool for both but mix the plaster of paris with just enough water to make a nice smooth paste before adding it into your paint. Your paint should NOT be thick. It may slightly thicken (and if so you can add a little more water while working) but the paint should be like regular paint in that it is easy to apply. Thank you so much for all your recipes!! !